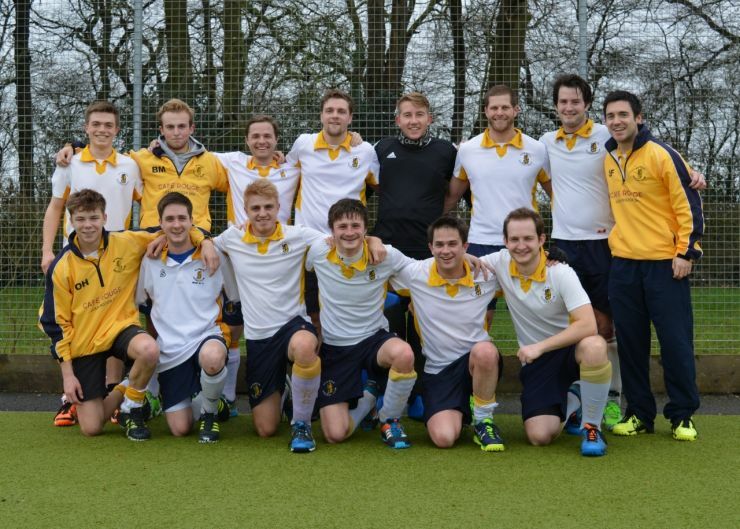 Proud Seb reports "Men's 1s clinch promotion with 6-3 victory over local rival Old Sills. Hat-trick for Timothy Williams-Ellis. One more win for the title!" 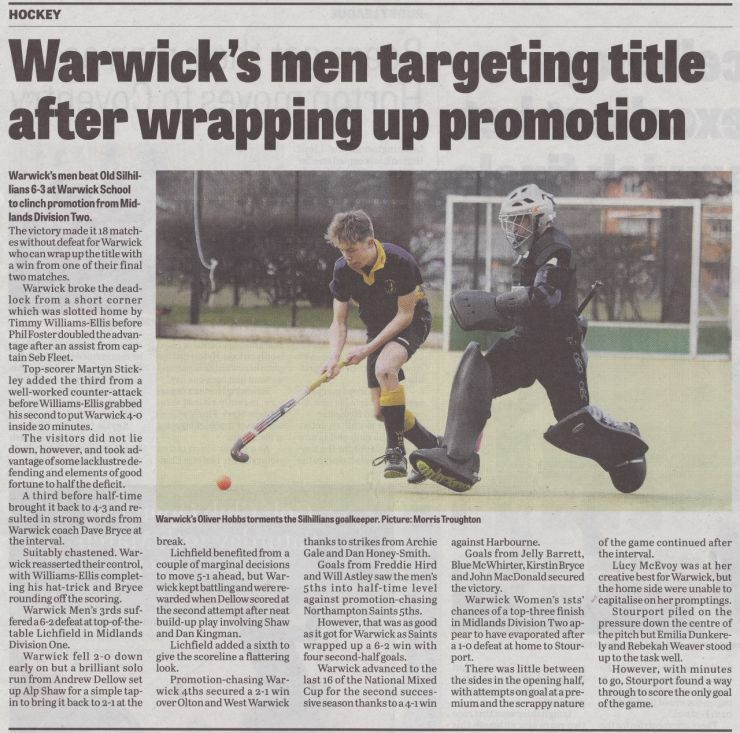 "Men's 4s keep their promotion hopes alive with a 2-1 win over Olton in a match where police were called by the opposition keeper!" writes Nick (... ask him not me). Women's 1s lose out 0-1 at home to 2nd placed Stourport, leaving Warwick mid-table. Men's 2s visit local mid-table rivals Stratford and come away with a 4-4 draw. Our Women's 3s visited top of the table Hampton and just miss out on getting some thin by losing 0-1, must have been close! "A much changed Men's 3s travelled to top of table Lichfield, battle valiantly especially POTM David Harris, but lose out 2-6, fair enough but a little flattering to Lichfield we thought" writes Chris. Men's 5s also lose out 6-2 to second placed Northampton Saints, "2-2 at HT but lost our way in the second half" reports Claudio.